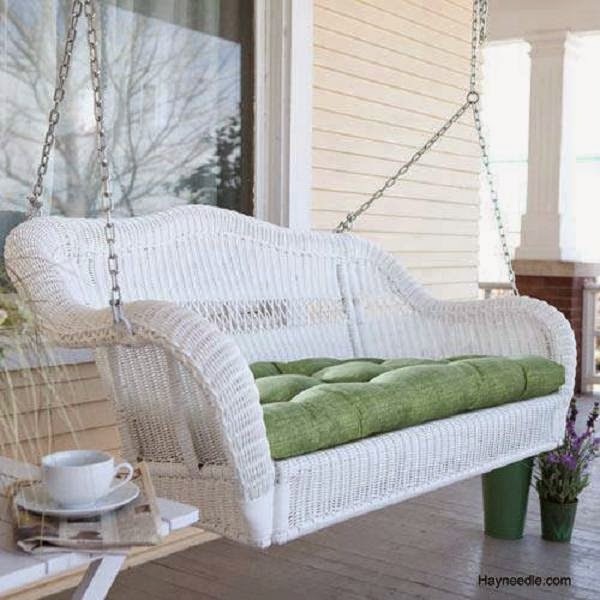 Actually this is a new porch swing from Hayneedle.com. (I hadn't seen this site before, but they have many porch swings in many styles and colors to choose from.. and this one is still available, in Spring 2018!) But I can't help but think that "Spring really is coming!" when I see a porch swing, old or new.